of our windows and doors can be tailored to perfectly complement your very own ‘grand design’. 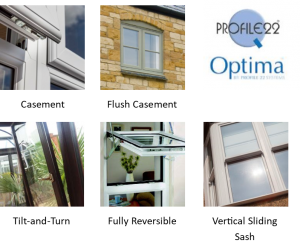 Our windows are manufactured Profile 22’s new Optima PVC-U profiles – a classically sculptured (QS), a simpler, chamfered (QC) frame design or ‘heritage’ flush sash timber replacement. Each offering the highest levels of energy efficiency and slim stylish sightlines. 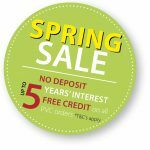 Whatever your choice for your property you can be sure your new windows will be secure, energy efficient and low maintenance. Timeless and with classic appeal, our range of beautiful and flexible casement windows can be designed to complement period properties or contemporary homes delivering perfectly balanced sightlines. Featuring the same classic styling, our casements are designed so that they don’t require a central mullion (upright). Opened, it means views are uninterrupted. 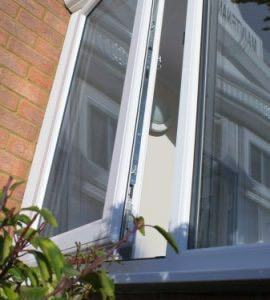 With no fixed mullion, you can be confident our windows comply with the fire regulations for escape. 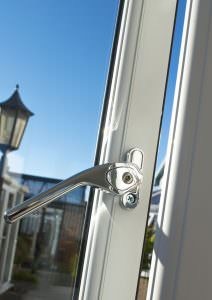 The ideal solution where external access is an issue, tilt-and-turn windows can be swung into a room for cleaning. Streamlined and contemporary, they’re great for wide variety of properties. 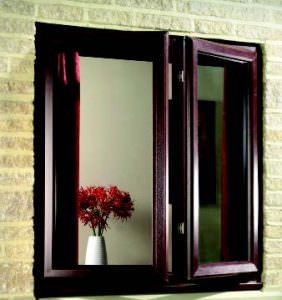 Tilt-and-turn windows are also available in a flush finish. 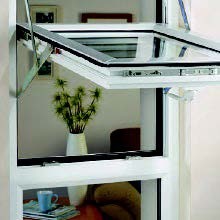 Like tilt-and-turn windows, fully-reversible windows are great where access for cleaning can be a problem rotating 180°. 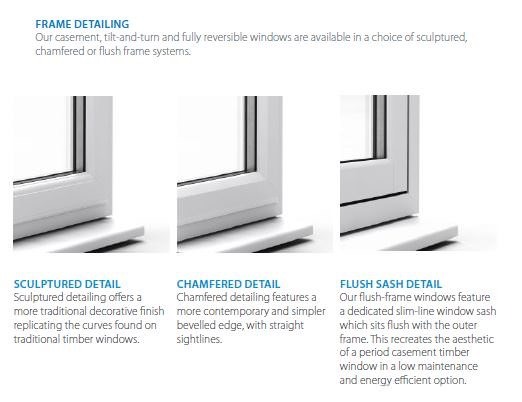 This advanced solution is also available in a flush casement finish. 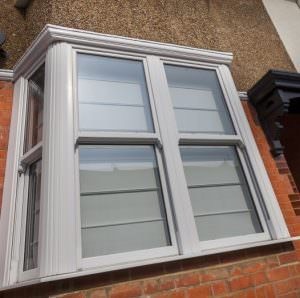 The classic choice for Georgian, Victorian and Edwardian properties, our box sash windows bring 21st century innovation and energy efficient to period styling. Our georgian astragal bar range allows you to bring additional period character your design. Running horizontally or vertically across the glazed units of your casement or sliding sash windows, astragal and georgian bars replicate the appearance of the jointing between panes of glass on a traditional Georgian window. Our window ranges are the product of over £13 million of investment in energy efficiency, security and system development. Every home is different, which is why we offer a wide range of window styles and colour options. Making the right choice is about working out not only the best fit to the character of your property but also thinking about how you want to live in it. Choosing a window style is the starting point. The handles or any colour or finishes you then add, will further define the appearance of not just your windows but your home as a whole. We’ll work with you to help you make the perfect choice. 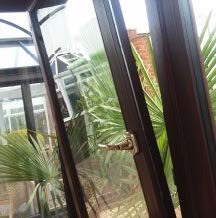 High Security Locking and Weather-tightness. The seal formed between the fixed window frame and opening sash is a critical element in door security and weather-tightness. 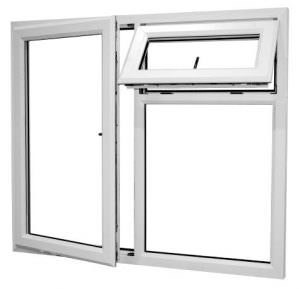 Our windows feature eight-point locking as standard and nine point locking on larger window sizes. As well as locking the window along the sash, our heavy duty multi-point locking system provides a dedicated fix in each corner. This makes it far harder for intruders to force it open but also improves the weather seal. Our patented docking system also prevents the sideways movement of the locking keep when under attack from intruders. quality to the touch. 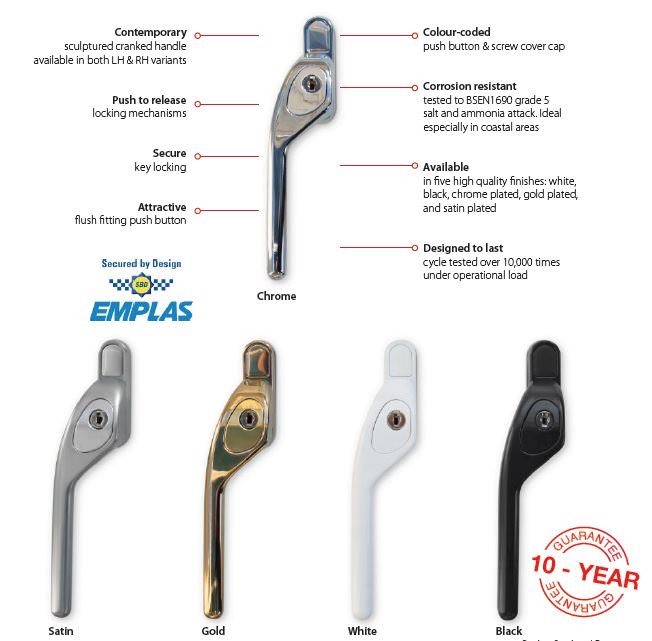 Beautifully crafted, our Signature™ hardware range is available in premium quality white and black powder coated finishes; chrome plated; and gold and satin electroplate finishes. Building Regulations may dictate minimum standards but our energy efficient double and triple-glazed windows go far beyond, keeping you warmer and saving you money, year round. 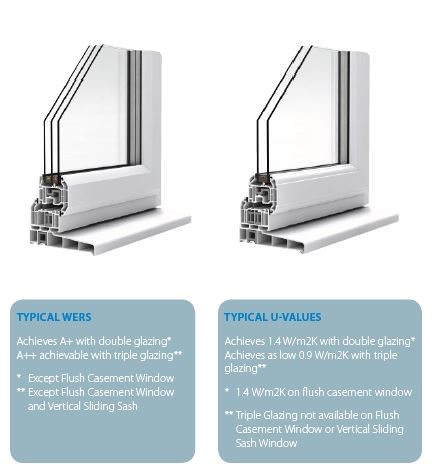 Achieving Window Energy Ratings of up to A++ and U-values as low as 0.9W/m2K, our windows are designed to be energy efficient from the inside out. Our window frames feature five thermally efficient internal chambers in the sash and six in the outer frame. This thermally efficient ‘honey-comb’ creates a series of barriers between the heat inside your home and cold air outside. We enhance frame energy efficiency even further whenever possible, by swapping highly conductive steel for far more thermally efficient and ultra-strong recycled composite material reinforcements. All of the double and triple-glazed glass units that we supply, are via our glazing partner. 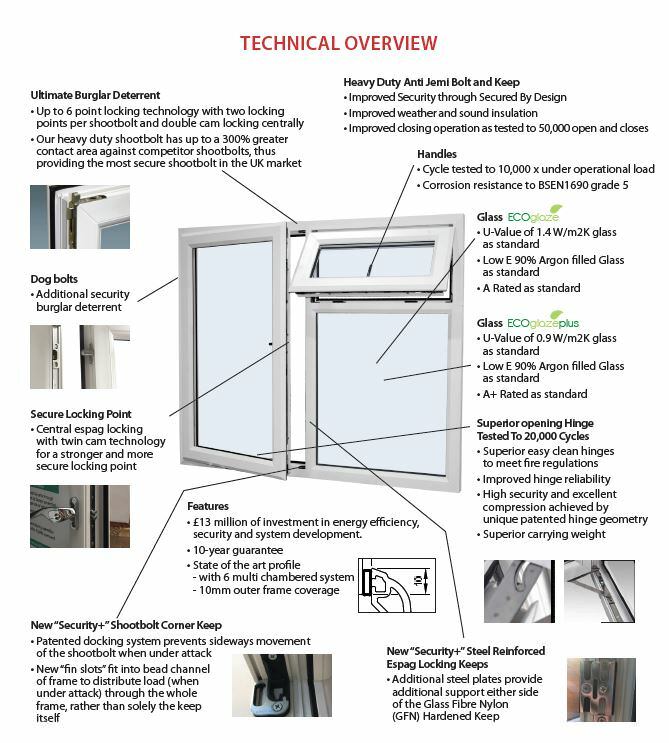 We use smart low-e coatings on our glass – a one-way door for trapping and holding energy. We also use warm-edge spacer bars which separate the sheets of glass in double and triple-glazed units to put ‘space’ between the cold air outside and warm air inside, insulating it in the process. 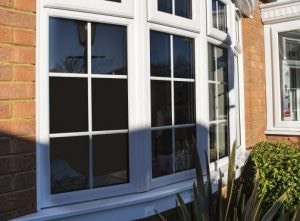 You can therefore be assured of advanced thermal efficiency in a beautifully crafted and low maintenance window.